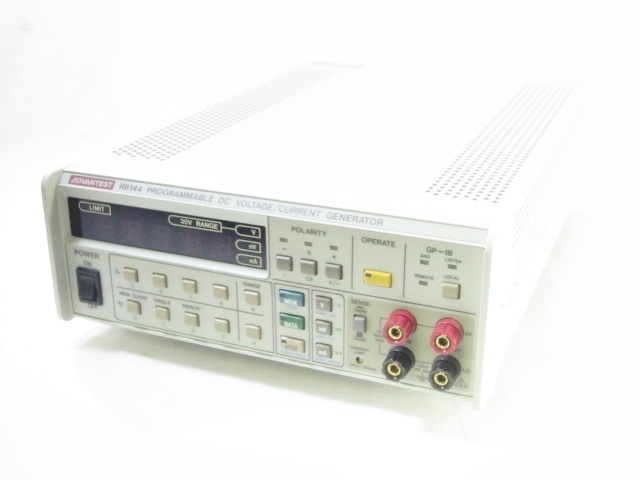 Agilent HP 5087A - Distribution Amplifier with Option 033. 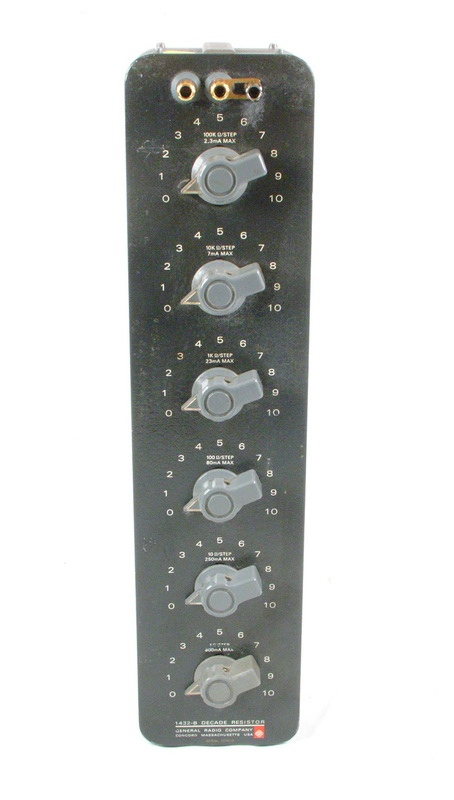 Single 10 MHz input with 12 outputs. 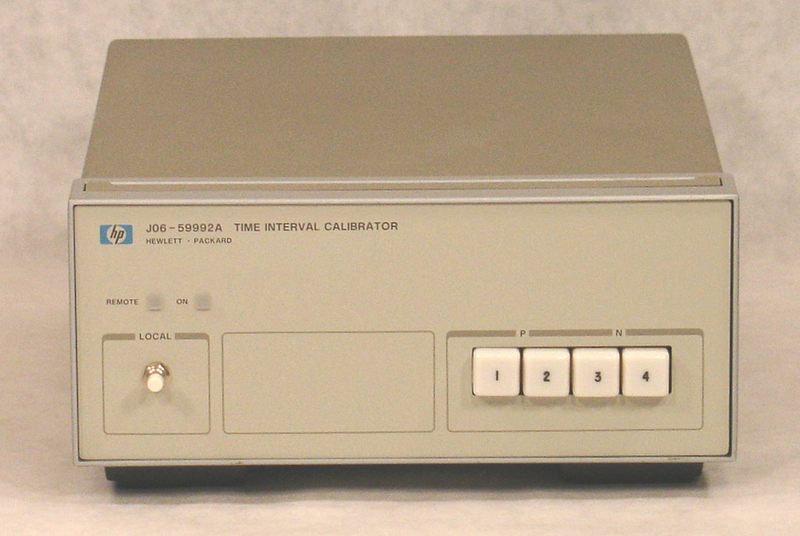 Agilent HP 85031A - Verification / Calibration kit, APC-7. Option 003 LO input option for 8902A. 50 Ω impedance, ~1.27 MHz to 1301.5 MHz, 0 dBm nominal. Option 030 Carrier Noise Filter option for 8902A. Option 032 Carrier Noise Filter option for 8902A. Option 033 Carrier Noise Filter option for 8902A. Option 037 Carrier Noise Filter option for 8902A. 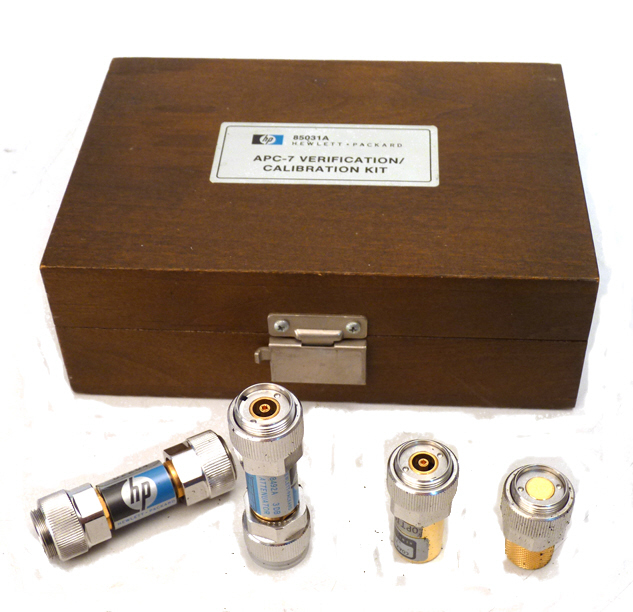 Agilent HP 85032F - Calibration kit, Type N. DC to 9 GHz. 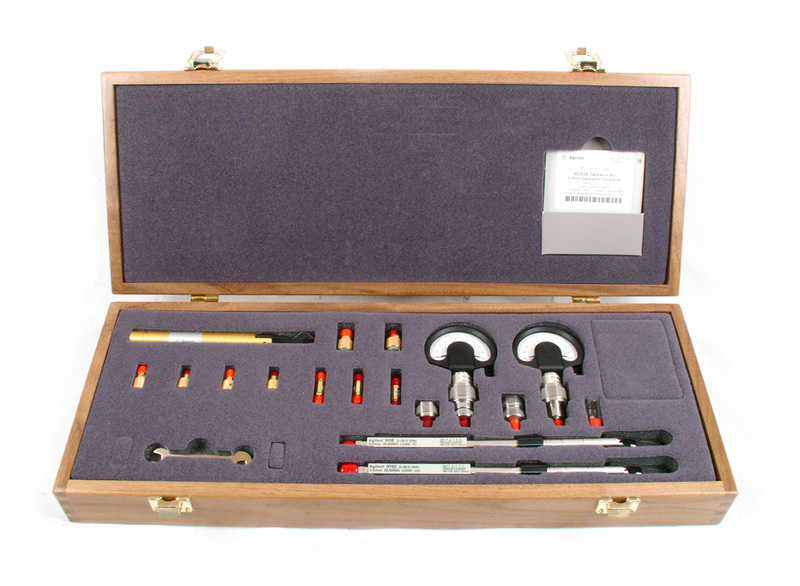 Agilent HP Keysight 85053B - 3.5 mm Verification Kit. 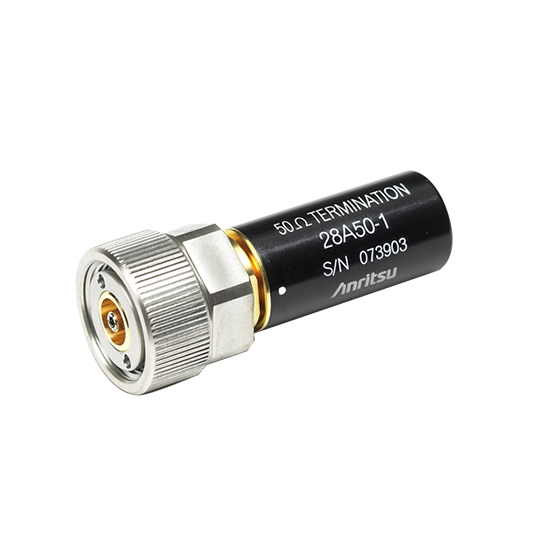 Wiltron 28A50-1 - Anritsu Precision Termination; DC to 18 GHz; APC-7; Max. SWR=1.02; 50 Ohm. 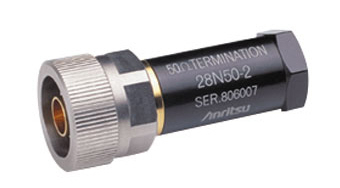 Anritsu 28N50-2 Precision Termination; DC to 18 GHz; 40 dB; N(m); 50 Ohm. 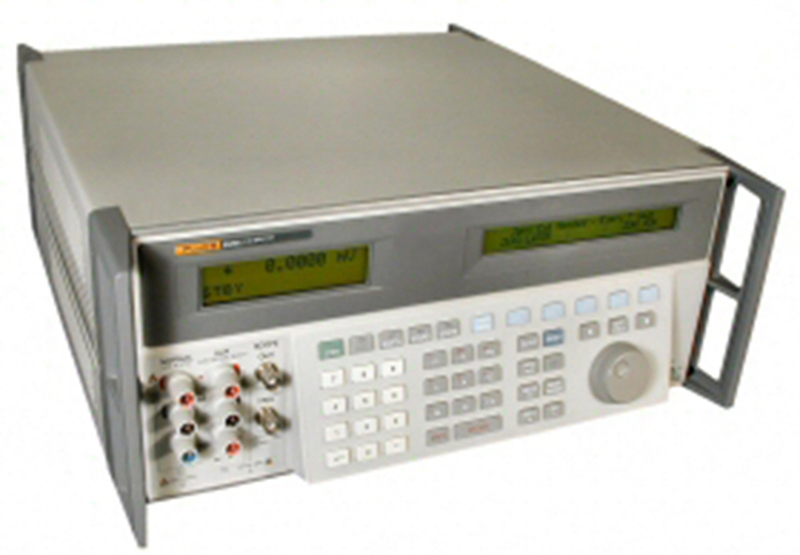 Avtech AVR-3-PW-C-P-TEK2 High Voltage pulser specifically designed for testing current probes. Up to 250V / 5A. 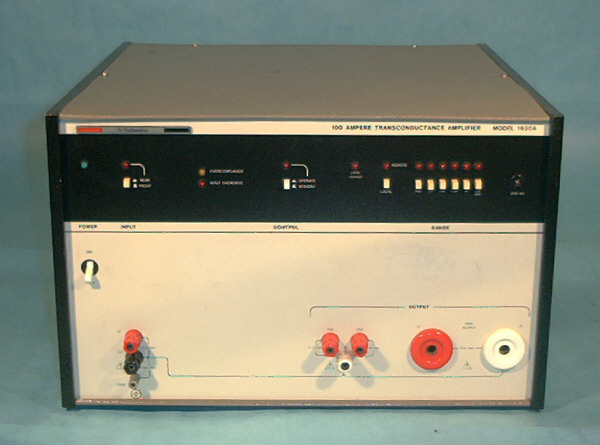 Ballantine 1620A - Transconductance Amplifier. 0 - 100A output AC and DC. 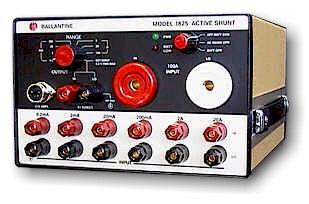 Ballantine BLI 625A Multi-Ranging High Accuracy Active Current Shunt. 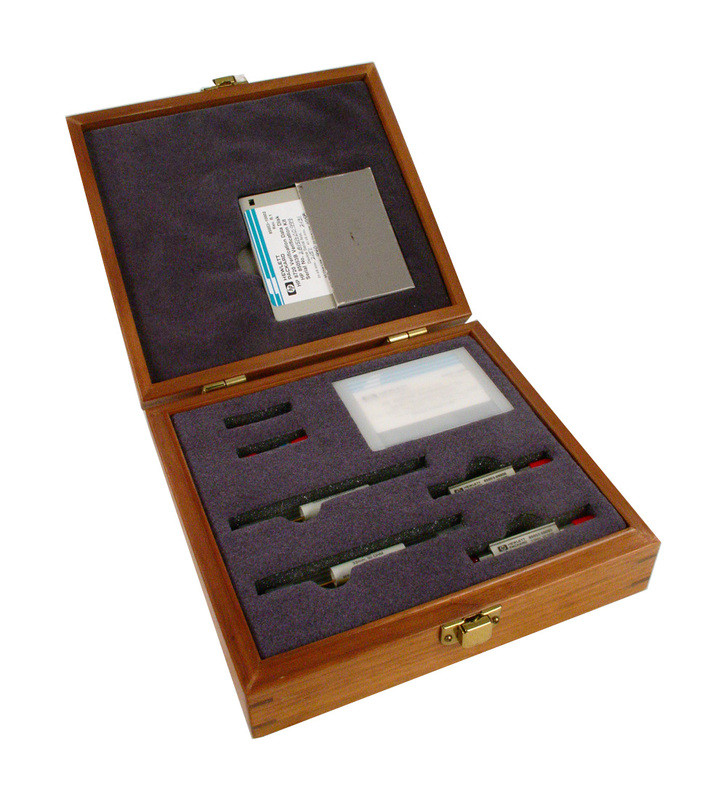 Clarke Hess 5000 Precision Digital Phase Standard. 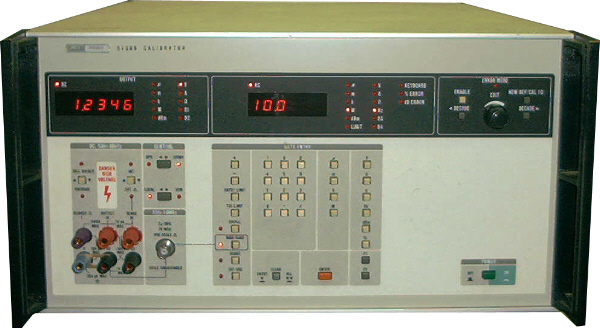 DC Voltage / Current Calibration Standard. 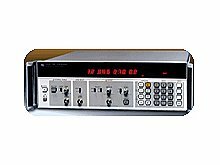 Includes Opt D11 GPIB. 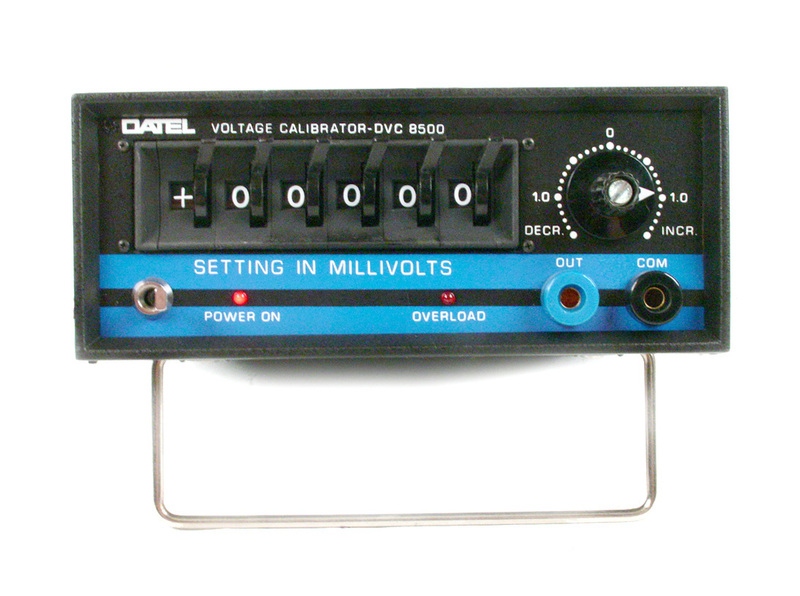 Datel DVC8500 DC Voltage Calibration -20 to +20V. Millivolt resolution. 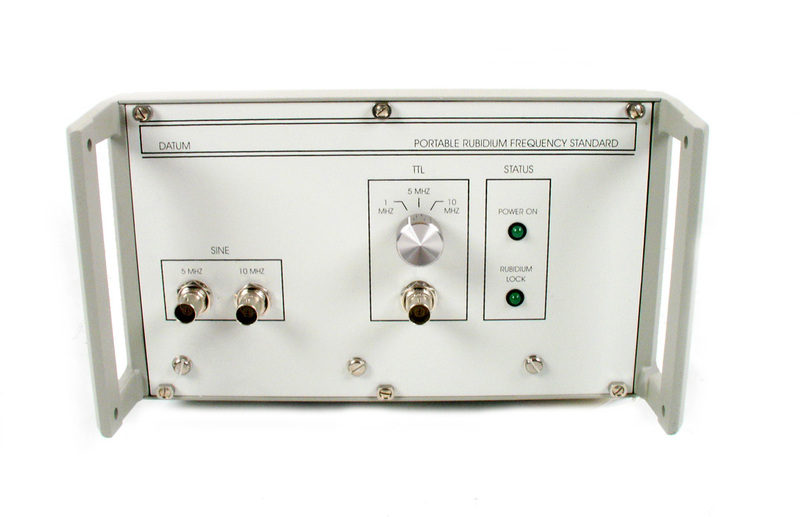 Datum FTS 4060 - 10 MHz, 5 MHz, 1 MHz, Cesium Frequency Standard and 100 kHz outputs. Frequency and Time Systems / Symmetricom. 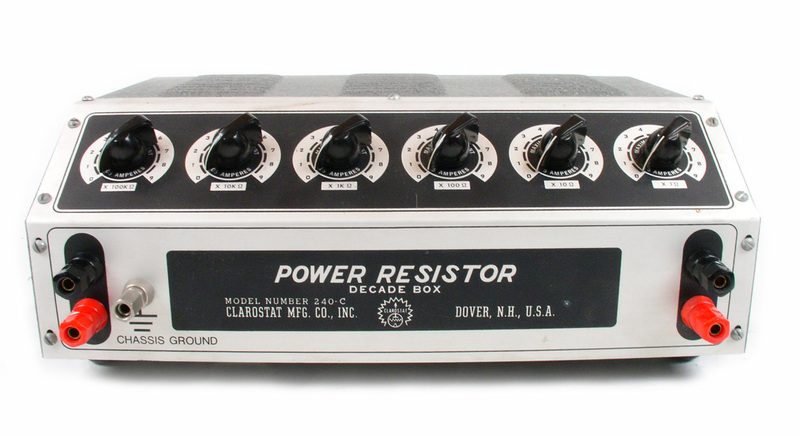 ESI DB62 Decade Resistor. 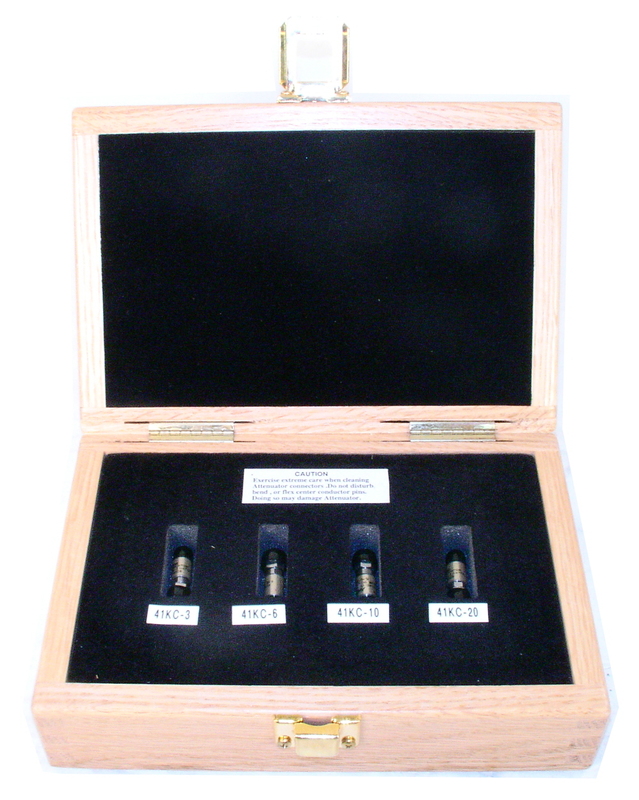 0 - 11,111,100 Ohms in six decades with 10 Ohm resolution. ESI DB62 Decade Resistor. 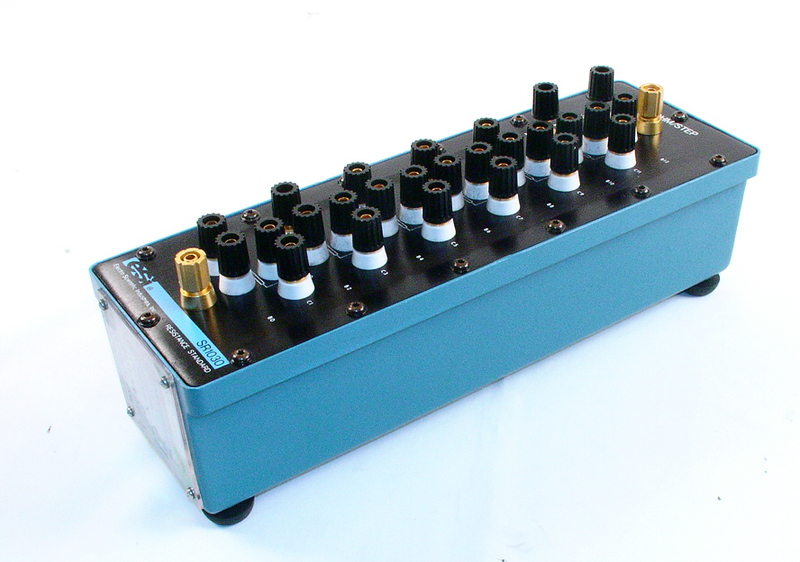 0 - 11 KOhms in six decades with .01 Ohm resolution. ESI DB62 Decade Resistor. 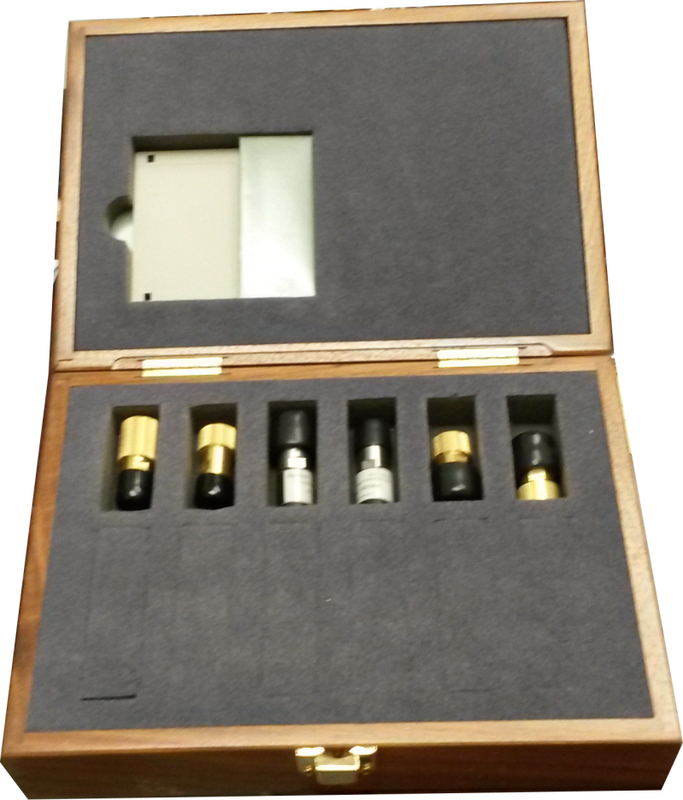 0 - 1,111,100 Ohms in six decades with 1 Ohm resolution. ESI DB62 Decade Resistor. 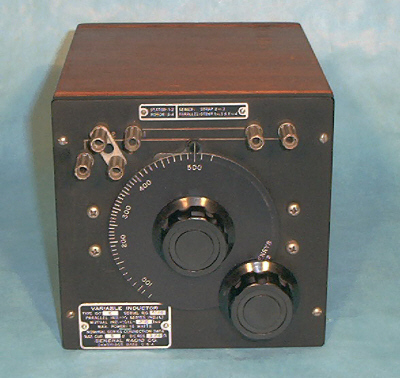 0 - 111 KOhms in six decades with .1 Ohm resolution. 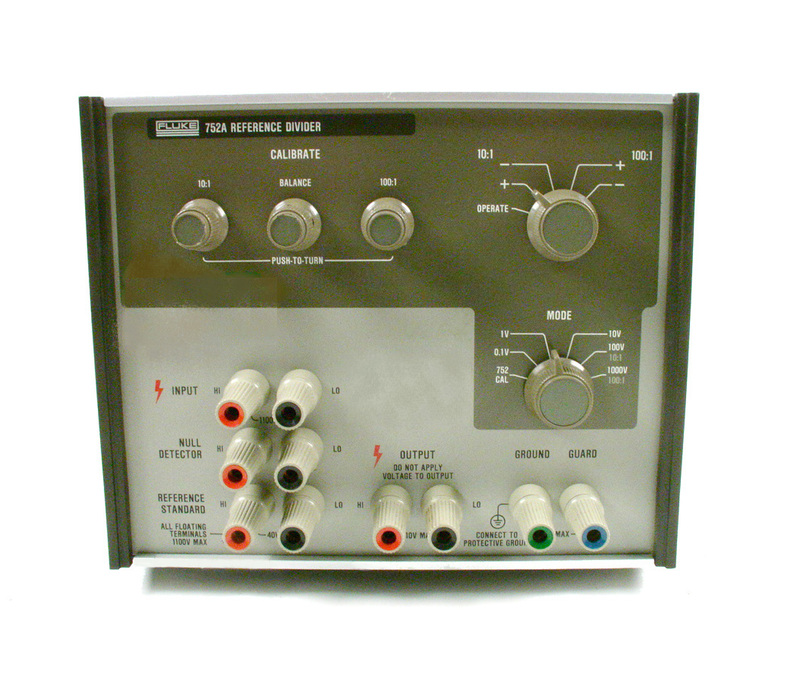 ESI SR1050-10M - IET Labs ESI SR1050 Resistance Transfer Standard. 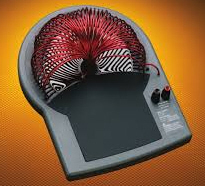 10 M Ohm per step. 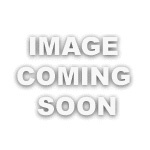 ESI SR1050-1M - IET Labs ESI SR1050 Resistance Transfer Standard. 1 M Ohm per step. 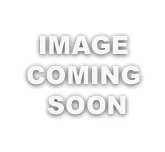 Fluke 5500A/Coil 50-turn coil accessory. 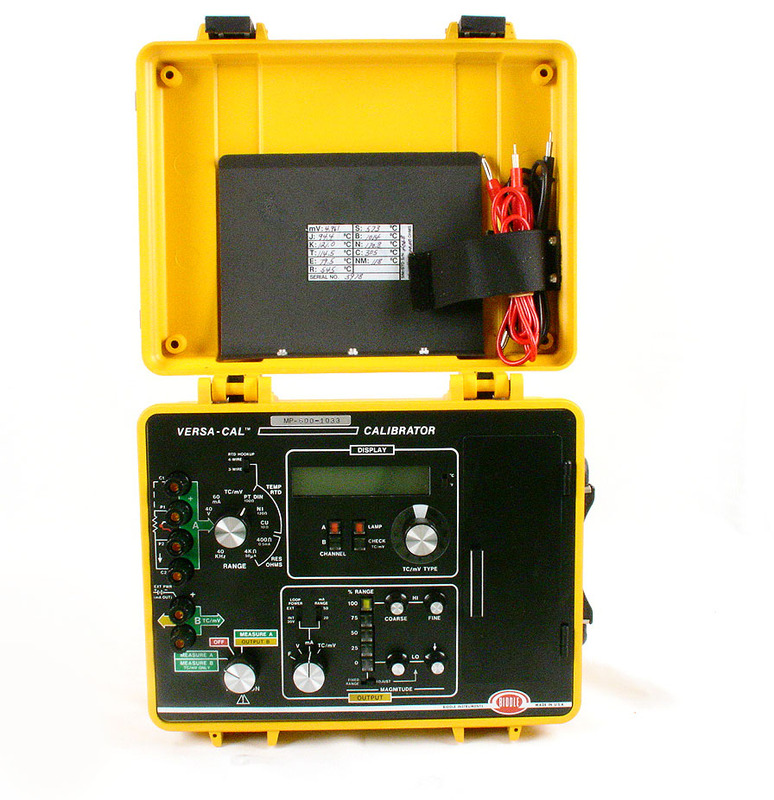 Fluke 343A DC Voltage Calibrator. 7 digit/ 1 uV resolution, 20 ppm accuracy. 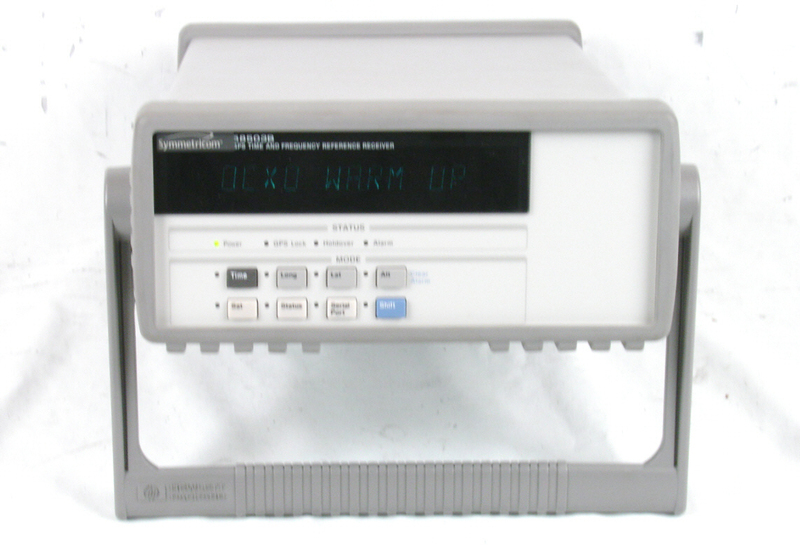 Fluke 5100B - Meter calibrator - late serial number. 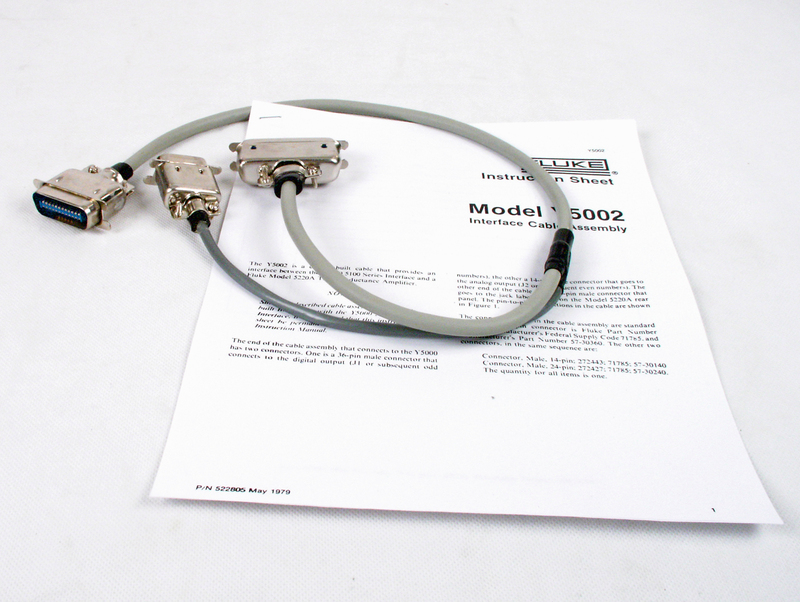 Options 3 & 5 available, contact Sales (wideband AC and IEEE-488 Interface). 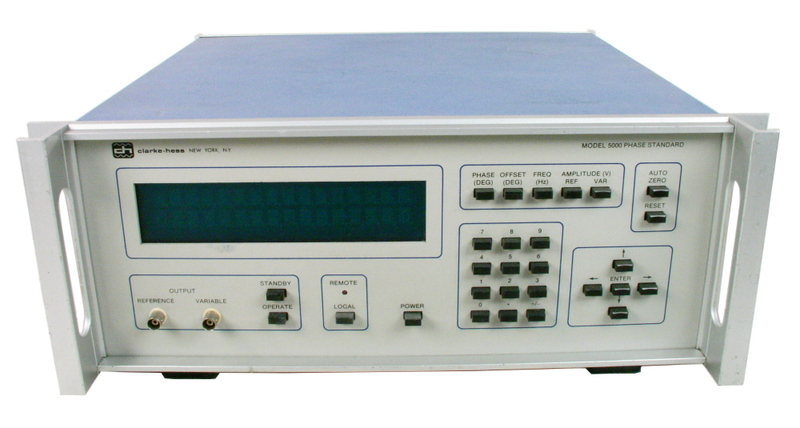 Fluke 5100B - Meter calibrator. Options 3 & 5 available, contact Sales (wideband AC and IEEE-488 Interface). 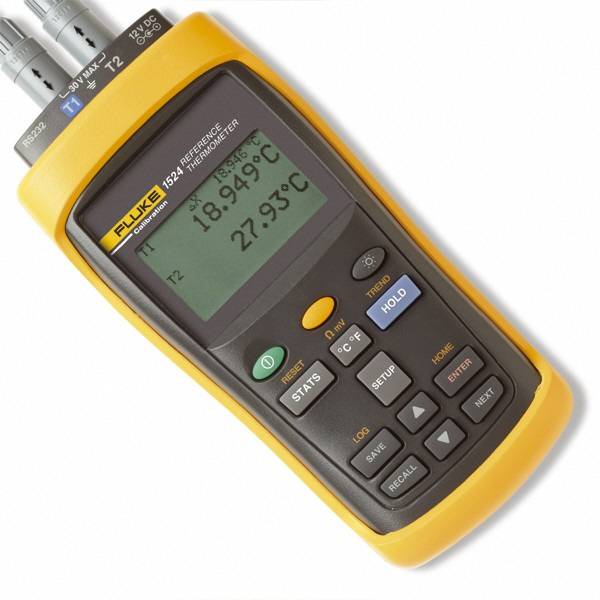 Fluke 5101B - Meter Calibrator. Same as 5100B with cassette tape memory. Fluke 5101B - Meter calibrator - late serial number. Same as 5100B plus cassette memory drive. 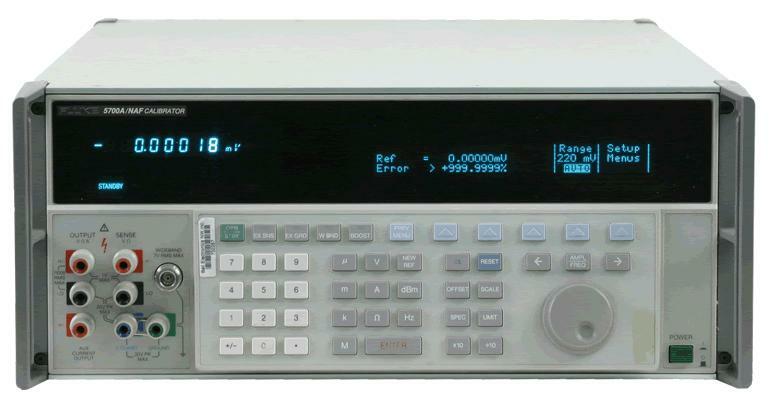 Fluke 5102B - Meter calibrator. Same as 5100B, but with improved chasis to prevent damage during transit. Option 3 & 5(IEE488, and wideband ACV)included. 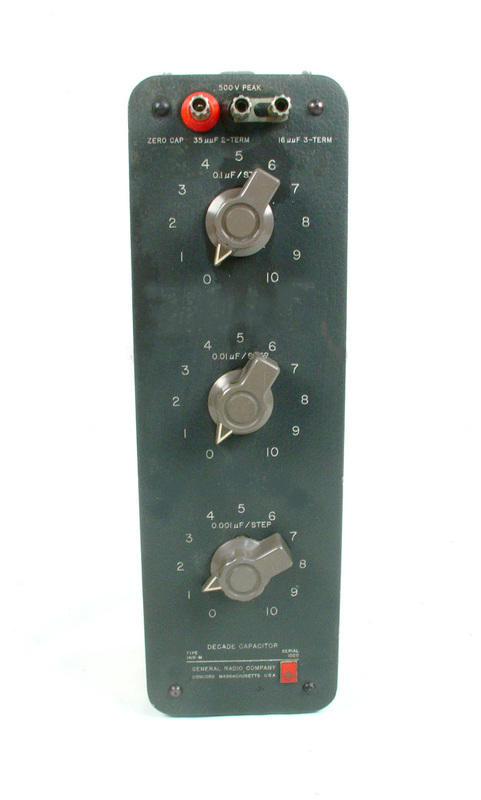 Newer style front panel. 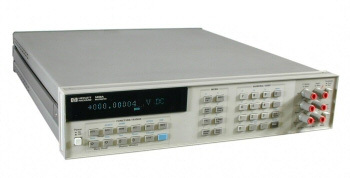 Fluke 5200A - AC Voltage Calibrator. 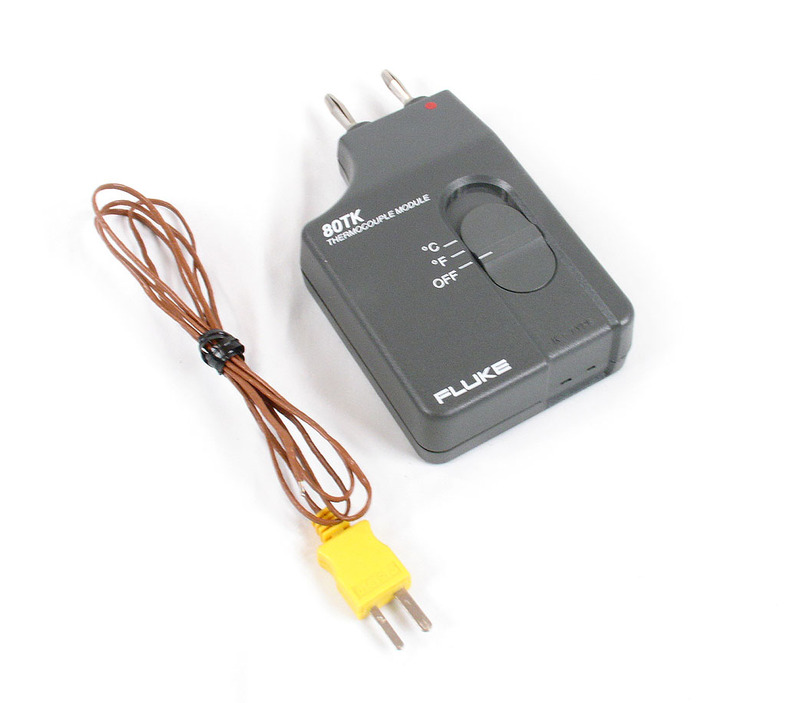 1mV to 120V, 100Hz to 1MHz. 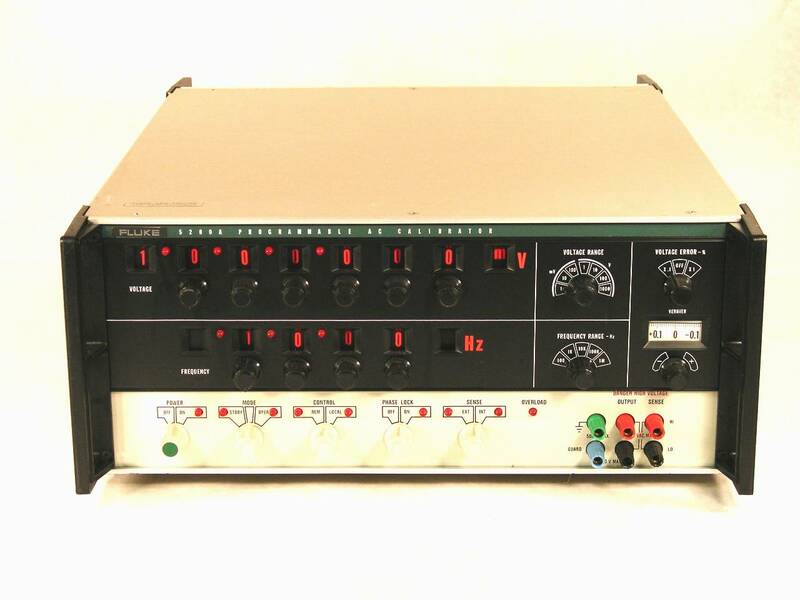 Fluke 5220A Transconductance Amplifier. 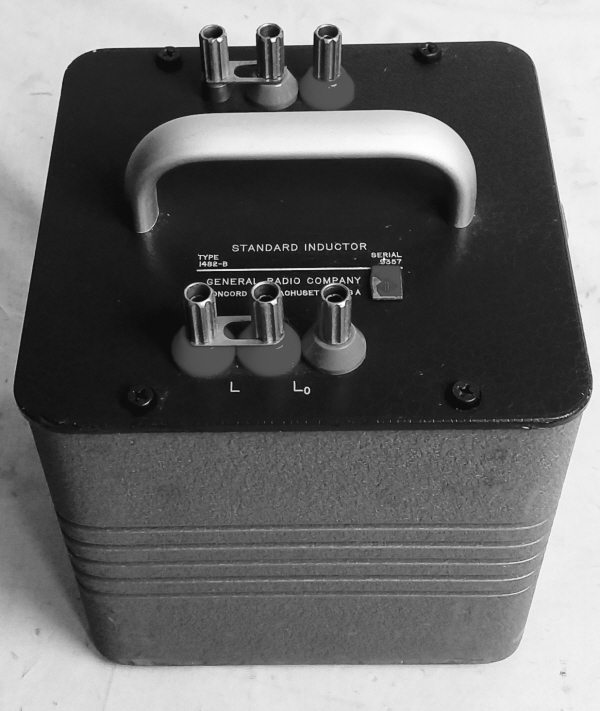 Up to 20A AC or DC output. 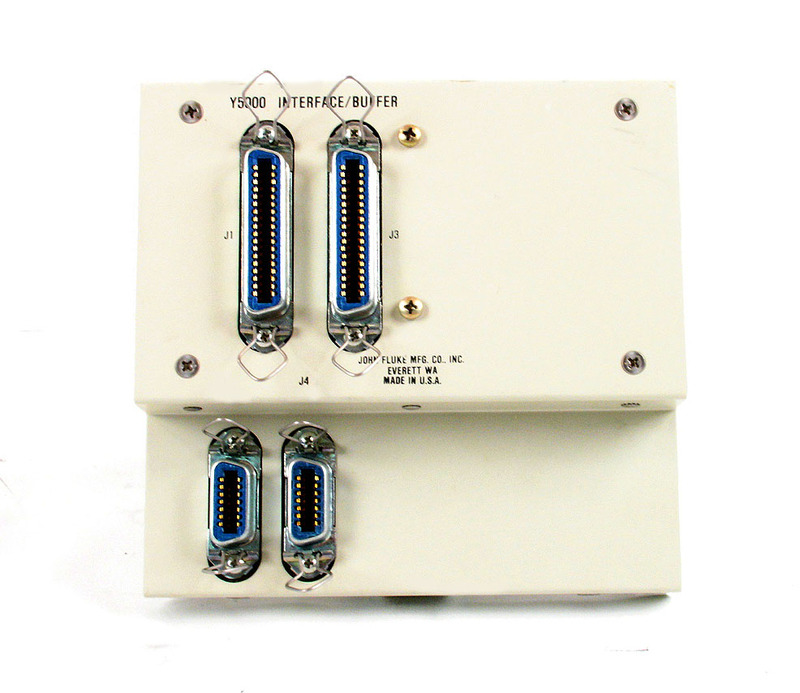 Fluke 80E10 Voltage Divider. 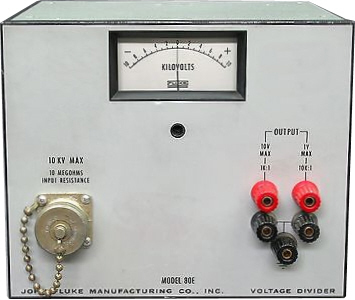 10 kV max. Fluke 80E5 Voltage Divider. 5 kV max. 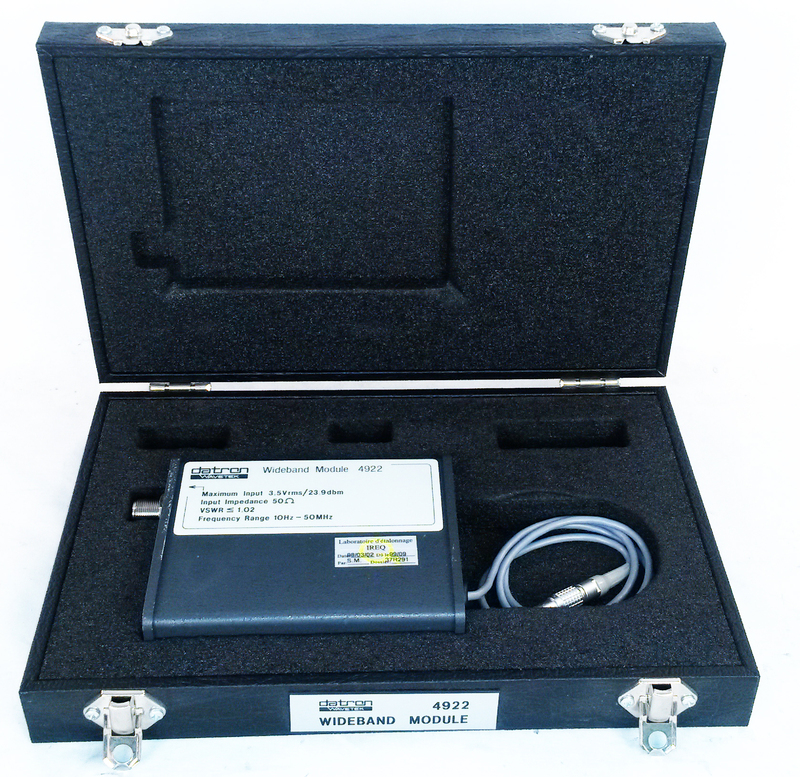 Fluke A40.1A - 100 mA current shunt for 792A or 540B transfer standards. 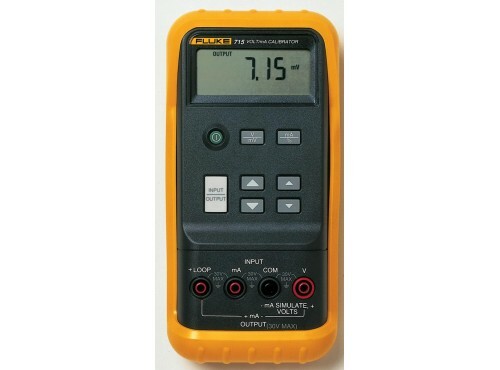 Fluke Y5000 - Interface / Buffer. 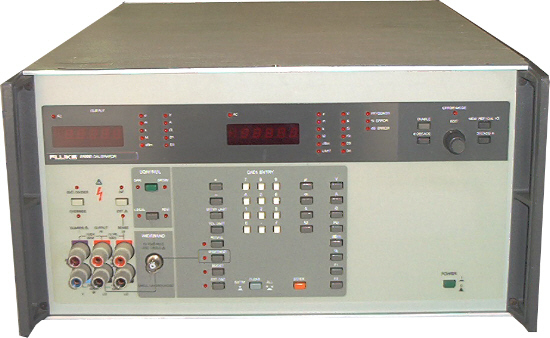 This interface allows a 5205A or 5220A to be connected to and controlled by a 5100B calibrator. 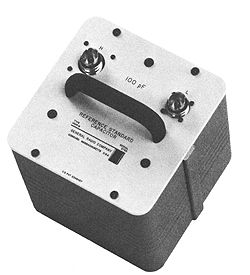 General Resistance Instruments RDS-74M Decade Resistor, 7 dials, .01 ohm resolution up to 111 KOhms. 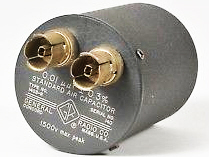 Genrad 107K - Variable inductor. 100 - 500 UH. 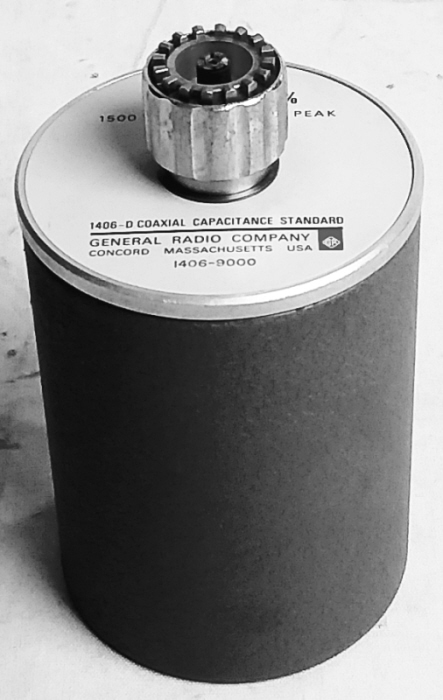 Genrad 1424-A Ploystyrene decade capacitor. 0 - 10 uF. 1 uF / step. 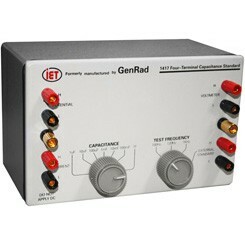 Genrad 1432-J Decade Resistor. Four decades from 1 Ohm / step to 1K Ohm / step. 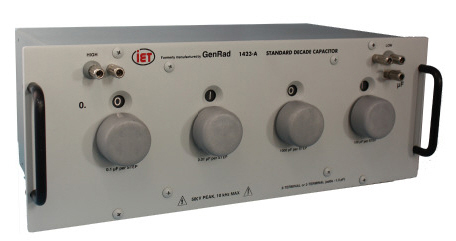 Genrad 1432-K Decade Resistor. 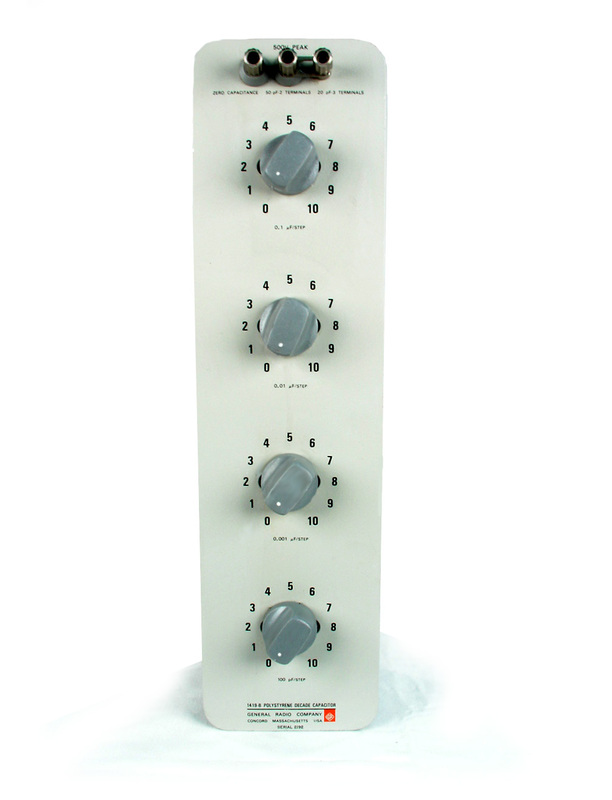 Four decades from .1 Ohm / step to 100 Ohms / step. 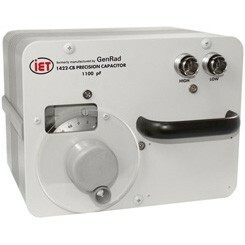 Genrad 1432-L Decade Resistor. 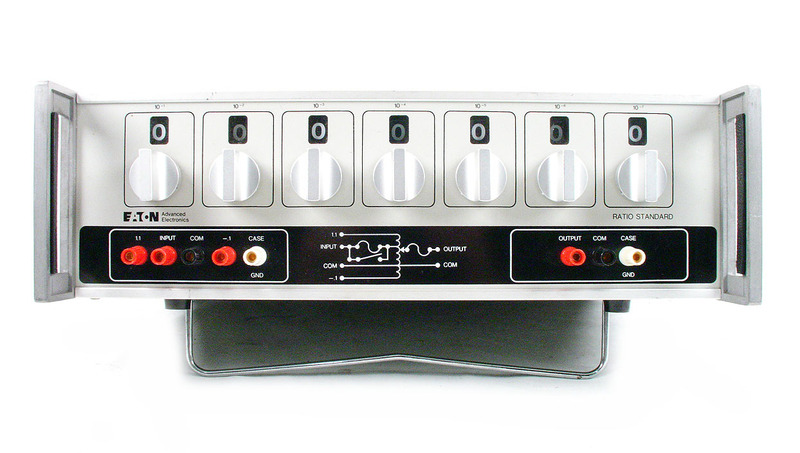 Four decades from 10 Ohm / step to 10K Ohms / step. 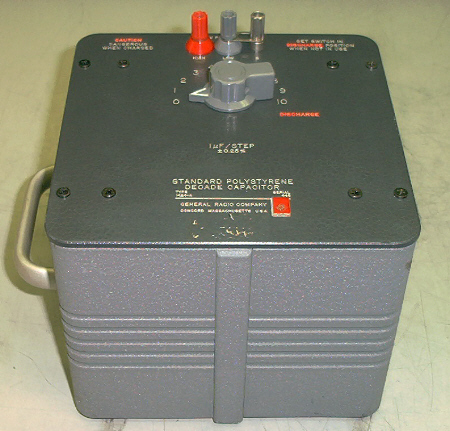 Genrad 1432-Q Decade Resistor. Four decades from 100 Ohm / step to 100K Ohms / step.